South Korea's foreign relations have been shaped by it's evolving relationship with North Korea, Russia, China, Japan, and the United States. The Cold War became hot for the first time on the Korean Peninsula. Russia, China, Japan, and the United States have had vested interest in the outcome for the Civil War between North Korea and South Korea. A truce has been in effect since 1953 yet, technically, the two Koreas are at war. Their weapons are formidable and war has been a possibility at any time since 1953. In the midst of that awful tension, shrugging off a humiliating experience under Japan's colonial government, rising from the rubble of the Korean War, South Korea now belongs among the world's developed nations, maintaining diplomatic relations with almost all nations in the world. Executive in foreign affairs. The Constitution of the Sixth Republic established the office of foreign affairs in South Korea. The presidency sets forth major foreign policy objectives as established by the Constitution and, along with the State Council, hold decision making power, subject to the approval of the National Assembly. The Constitution requires the president and prime minister to report periodically to the legislature on foreign affairs. The president appoints envoys without confirmation; legislative consent is required for treaties, declarations of war, dispatch of troops overseas, and stationing foreign troops within the national borders (Article 60 of the Constitution). The president directs the Agency for National Security Planning, which is comparable to a combination of the United States Central Intelligence Agency and Federal Bureau of Investigation. 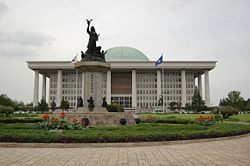 The National Assembly. The National Assembly maintains the Foreign Affairs Committee, which reports regularly in plenary sessions of the assembly. The assembly may also establish ad hoc committees to consider questions of special importance to the state. Prime Minister and Minster of Foreign Affairs. The prime minister, who heads the cabinet, and the minister of foreign affairs sit as the chief foreign policy advisers in the State Council. From time to time, the National Assembly may question those officials; the Assembly may pass a recommendation for the removal from office of the prime minister or a State Council member (Article 63). National Security Council. The National Security Council assists the president in the formulation and execution of foreign, military, and domestic policies related to national security prior to their deliberation by the State Council (Article 91). Diplomatic Missions Abroad. Diplomatic missions abroad conduct foreign policy. Civil service members and a career foreign service corps, selected on the basis of college education and an examination, make up the Ministry of Foreign Affairs staff. Staff undergo training in international diplomacy, specialized area training, and intensive language training conducted by the Foreign Affairs Research Institute. South Korea has diplomats assigned to more than 170 countries dealing with political and economic issues. 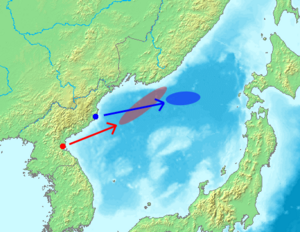 The U.S. and Korea cooperate under the 1954 Mutual Defense Treaty. South Korea and Japan confer on a host of issues, including consultations with the United States on North Korea policy. United Nations and International Forums. In August 1991, South Korea joined the United Nations, along with North Korea, and has actively participated in United Nations agencies and international forums. South Korea belongs to the Organization for Economic Co-operation and Development (OECD) as well as the Asia-Pacific Economic Cooperation (APEC) forum. Ban Ki-moon, the former foreign minister of South Korea, sits as the incumbent Secretary-General of the United Nations. International Events. South Korea has hosted the 1988 Summer Olympics and the 2002 World Cup Soccer Tournament (co-hosted with Japan). Olympic Park, Seoul, South Korea. The 1988 Seoul Olympics helped advance diplomatic discussion and exchanges with North Korea. By virtue of a successful joint team of North and South Korea alone, a major milestone had been passed. 159 nations and more than 9,000 athletes participated, even though technically North and South Korea are at war, the agreement of 1953 constituting a truce rather than a lasting peace. As with all Olympic games, Seoul enjoyed the attention of the world community during the competition, receiving a boost to the nation's prestige similar to Tokyo's in 1964. Seoul's 1988 Olympics slogan, "From Seoul to the World, and from the World to Seoul," set the tone for South Korea's diplomacy initiative. Many South Korean diplomats, trained in the West, following the executive initiative to implement Nordpolitik and developing openings for South Korea's businesses, the Chaebol, abroad. National Assembly of South Korea located in Yeido, Seoul. In the afterglow of the Olympics, Roh made his diplomatic debut as the first South Korean president to address the United Nations (UN) General Assembly, on October 18, 1988. Roh's speech called for a six-nation consultative conference to discuss a broad range of issues concerning peace, stability, progress, and prosperity in Northeast Asia. Pledging unilaterally never to use force first against North Korea, Roh proposed to replace the existing 1953 armistice agreement with a peace treaty. Since the 1980s, South Korea had launched a northern policy, or Nordpolitik, modeled after the Federal Republic of Germany's (West Germany) Ostpolitik of the early 1970s. Seoul's Nordpolitik attempts to balance South Korea's commitments to the United States and Japan while engaging North Korea in an attempt to improve relations. On the whole, South Korea's Nordpolitik accomplished improved relations with North Korea in sports, trade, and diplomacy. South Korea's diplomatic initiatives with the United States, China, Japan, Europe, Eastern Europe,Africa, and South America have helped catapult South Korea into one of the leading exporting nations in the world. High tech industries such has ships, electronics, cell phones, automobiles, and computer chips that require a highly educated work force have been the leading export ideas. Since the 1988 Olympics, confidence in Korean products has risen. In the late 1980s, South Korea became one of the world's top ten trading nations. 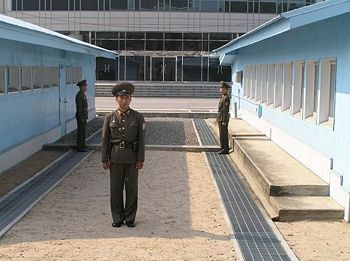 Korean demilitarized zone on the North Korean side. Relations 1953-1988: North-South relations divide neatly into four periods. The first stage, between 1972 and 1973; the second stage, P'yongyang's delivery of relief goods to South Korea after a typhoon caused devastating floods in 1984; the third stage, the exchange of home visits and performing artists in 1985, and lastly, the fourth stage, activated by Nordpolitik under Roh. Roh's initiative built upon the 1972 three basic principles for Korean reunification: 1) Reunification by peaceful means, 2) by transcending ideological differences (nationalism), and 3) without external interference (self-determination). Since the Korean War, relations between North and South Korea have been strained. Official, though irregular and highly secret, contact did not occur until in 1971; these meetings led to Red Cross contacts and family reunification projects but not to a peace treaty or lessening of military tensions. With the military coup that put Chun Doo-hwan in power all contact ceased; the 1983 attempt on Chun's life ended the possibility of their resumption. Seoul has had a difficult time succeeding in diplomatic initiatives with P'yongyang. After nearly two decades, inter-Korean relations has been stagnant. Seoul and P'yongyang have been increasing their contacts across and around the Demilitarized Zone (DMZ) in a gradual and uneven fashion and taken steps to reunite family separated by the Korean War. South Korean business leaders, aware of business opportunities in North Korea, have driven trade with the North into a "growth industry." Seoul spoke openly about increasing direct and indirect inter-Korean trade. By 1988, Seoul reduced tariffs and duties on trade with P'yongyang. Still, the South conducted most trade through third parties. P'yongyang's response to Seoul consisted of three points: 1) Asking for the repeal of the National Security Act, which designated P'yongyang an enemy, 2) making a declaration of nonaggression, and 3) establishing a "Peaceful Reunification Committee." Over the next few months, Roh's government attempted to make progress toward satisfying each of these requirements. Relations 1989-2007: In his 1989 New Year's address, Kim Il Song extended an invitation to the presidents of the major South Korean political parties and religious leaders, including Cardinal Kim Soo Hwan, Reverend Mun Ik-hwan, and Reverend Paek Ki-wan, for a leadership-level inter-Korean reunification meeting in P'yongyang. Meaningful inter-Korean dialogue bogged down with P'yongyang's objections to the annual United States-South Korean Team Spirit military exercises. Economic relations between North and South have moved ahead promisingly. After years of behind-the-scene efforts, P'yongyang invited Chong Chu-yong, honorary chairman of the Hyundai Group, in early 1989. Ho Tam, Chairman of the Committee for the Peaceful Reunification of the Fatherland, received Chong in P'yongyang along with business leaders to discuss large-scale economic cooperation, such as joint ventures and development of the tourist industry. Chong's visit caused euphoric expectations and also engendered other visits. The unauthorized visits to North Korea of Reverend Mun Ik-hwan (March-April 1989), South Korean lawmaker So Kyong-won (August 1988), and dissident South Korean student representative, Im Su-kyong (July 1989) caused a braking reaction in the South Korea government. Unauthorized diplomatic visits by South Koreans to communist North Korea caused concern that measured movement toward peaceful reunification had been compromised. Success came slowly at first, beginning with small ties with the Soviet Bloc countries, but accelerated rapidly with the fall of the Berlin Wall and the collapse of the Soviet Union. By 1992, when both nations had been admitted the UN, the South's ties with the North's formerly stalwart allies grew closer. The nuclear crisis of the early 1990s likely stemmed from the success of Nordpolitik, and the subsequent death of North Korean president Kim Il-sung, leaving the South's Northern policy uncertain. Kim's son, Kim Jong-il, consolidated his power, leaving the status of North-South relations uncertain for a number of years. Relations improved following the 1997 election of Kim Dae-jung. His "Sunshine Policy" of engagement with North Korea set the stage for the historic June 2000 Inter-Korean summit. 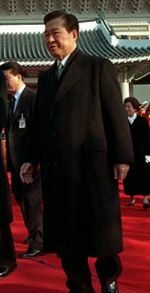 President Kim received the Nobel Peace Prize in 2000 for the policy. With that policy, continued by the current administration of Roh Moo-hyun, economic ties between the two countries have increased, humanitarian aid has been sent to North Korea, and some divided families have been briefly reunited. In 2002, a naval skirmish left four South Korean sailors dead, leaving the future of the Sunshine policy uncertain. The North cut off talks, but the South remained committed to the policy of reconciliation and relations began to thaw again. The resurgence of the nuclear issue two years later cast relations in doubt, but the South has sought to play the role of intermediary rather than antagonist, and economic ties are growing again. South Korea's relations with the United States intensified 1948, when the U.S. helped establish South Korea and fought on its UN-sponsored side in the Korean War (1950–1953). During the following four decades, South Korea experienced tremendous economic, political, and military growth. Since the late 1980s, South Korea has become a partner rather than a dependent nation, opening new opportunities and new strains in the Seoul-Washington relationship. United States Secretary of State Condoleezza Rice met with South Korean President Roh Moo-hyun March 20, 2005 at the presidential house in Seoul. In 1989, the United States stood as South Korea's largest and most important trading partner, while South Korea ranked as the seventh-largest market for United States goods and the second largest market for its agricultural products. United States congress, under pressure to find a cure for an imbalance in trade with South Korea and other nations, sought to improve the balance. A free trade agreement (FTA) between South Korea and the United States became controversial, leading to fears among the Korean people of a loss of the rapid gain in quality of life and increased per-capita income. South Koreans protested against FTA talks. Security renegotiations also tried the new partnership. Most Koreans believed that United States forces should remain in South Korea as long as Seoul needed them, 94 percent of South Koreans supported the presence of United States forces. Stability in the peninsula required a strong Seoul-Washington military cooperation to deter North Korean aggression. A small faction voiced the demand that United States troops should gradually leave South Korea. In Washington, an increasing number of United States policymakers supported that view. Consultations on restructuring the Washington-Seoul security relationship took place in February 1990, marked a shift in U.S. policy to a supporting, rather than leading, role in South Korea's defense and increasing support of defense expense. The United States' role in the May 1980 Gwangju uprising was the single most pressing South Korean political issue of the 1980s. Even after a decade, Gwangju citizens and other Koreans still blamed the United States for its perceived involvement in the bloody uprising. Washington's policymakers applauded Nordpolitik as a necessary adjustment of the relationship between Seoul and Moscow. However, the South Korean press contributed to a distorted zero-sum notion of the situation—if ties with the Soviet Union improve, then it must cause strains in the relationship with the United States. In his February 1989 speech to the South Korean National Assembly, President George Bush defined continuity and change as the guideposts in Seoul-Washington relations. Beijing disliked South Korea's Nordpolitik. Moscow, in the 1980s, saw economic advantage in supporting the policy. Still, South Korea and China began to trade actively. South Korea's inability to legally protect its citizens and business interests in China hampered a vigorous trade. Beijing, has been politically closer to P'yongyang, slowing negotiation between Beijing and Seoul in spite of the volume of trade between them. China has attempted to mediate between North Korea and the United States, North Korea and Japan, and tripartite talks between P'yongyang, Seoul, and Washington. Active South Korean-Chinese people-to-people contacts have been encouraged. Academics, journalists, and particularly families divided between South Korea and China exchanged visits freely in the late 1980s. Nearly 2 million ethnic Koreans, especially in the Yanbian Korean Autonomous Prefecture in China's Jilin Province, have interacted with South Koreans. The political turmoil in China has had little impact on Sino-Korean relations. After the military crackdown on demonstrators in Beijing in June 1989, P'yongyang supported Beijing's massacre while Seoul, took a noncommittal stance. Trade between China and South Korea increased. 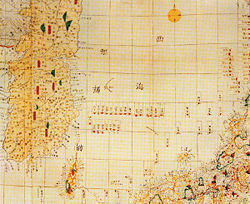 South Korea's relations with Japan still deal with the aftermath of Japan's occupation of Korea, including the Sea of Japan naming dispute, visits by successive Japanese Prime Ministers to the Yasukuni Shrine, and the disputed ownership of Liancourt Rocks (known as Dokdo in South Korea, Takeshima in Japan). Since normalizing relations in 1965, Seoul and Tokyo have held annual foreign ministerial conferences to discuss trade, the status of the Korean minority population in Japan, the content of textbooks dealing with the relationship, and Tokyo's relationship with North Korea. The Japanese side regards, in a spirit of humility, the facts of history that Japan caused tremendous damage and suffering to the people of Korea through its colonial rule in the past, and expressed deep remorse and heartfelt apology. Roh's Nordpolitik helped ease tensions with Tokyo over their approach to P'yongyang. Tokyo assisted Seoul in improving relations with P'yongyang and with Beijing, yet expressed opposition to the improved Seoul-Moscow relationship. Seoul-Tokyo relations became somewhat strained when in 1989 Tokyo began steps to improve relations with P'yongyang. A political cartoon by Georges Ferdinand Bigot (1860-1927) titled Go Fishing, from the publication Tobae, February 1887. 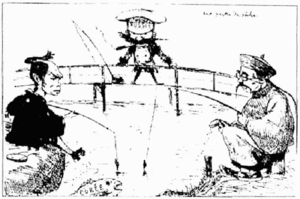 Depicted are Russia, China, and Japan fishing for the rights to own Korea. Seoul-Moscow relations entered a new era in the 1980s. Roh's Nordpolitik and Mikhail Gorbachev's "New Thinking" had much in common as they attempted to reverse their nations' courses. Gorbachev had signaled Soviet interest in improving relations with all countries in the Asia-Pacific region, including South Korea, as set forth his July 1986 Vladivostok and August 1988 Krasnoyarsk speeches. Improved Seoul-Moscow relations occurred in three arenas: Sports, trade, and political relations. The Seoul Olympics provided a major catalyst. The Soviets, eager to participate in the games, received honored treatment at the Olympics from South Korea. Economically, Seoul and Moscow have been natural partners. South Korea sought trade with the Soviet Union even before Gorbachev came to power. Gorbachev desired foreign capital and high technology, as well as Seoul's help in alleviating the Soviet economic crisis through direct investment, joint ventures, and trade. South Korea offers a source of badly needed consumer goods and managerial skills. Russia has the natural resources—oil, metals, timber, and fish—that South Korea desperately needs. The United States encouraged South Korea's expanding trade with Eastern Europe and the Soviet Union initially, although Washington later expressed concerned over high-technology transfers to Russia. Seoul and Moscow began trading directly, without Eastern European intermediaries, from facilities near Vladivostok and Pusan. Several major South Korean businesses including Daewoo, Sunkyong, and Lucky-Goldstar traded directly with the Soviet Union in 1990. The Korean Trade Promotion Corporation (KOTRA) and the Soviet Chamber of Commerce and Industry exchanged a trade memorandum in 1988, pledging mutual assistance in establishing trade offices in 1989. Political relations. South Korea's wealth and technology Roh Tae-wo and Kim Young Sam visited Moscow in the late 1980. Kim Young Sam participated in talks with the newly elected chairman of the Supreme Soviet, academician Yevgeni Primakov. In a joint statement, the Reunification Democratic Party (RDP) and IMEMO pledged to promote closer trade and cultural ties between the two nations. The Kremlin announced that it would allow some 30,000 Koreans stranded on Sakhalin since the end of World War II to return permanently to South Korea—clearly a reflection of the continuing improvement in Seoul-Moscow relations. Moscow arranged a Seoul-P'yongyang meeting. Kim met with Ho Tam, chairman of the Committee for Peaceful Reunification of the Fatherland (CPRF) in Moscow. In June 1990, Roh held his first summit with President Gorbachev in San Francisco. South Korea has been active in the United Nations, becoming a member in 1990. An increasing number of UN Security Council members, including the Soviet Union, tended to consider seriously Seoul's bid for separate entry into the UN. North Korea vehemently opposed that move claiming such a recognition would make the division of Korea permanent. Seoul has participated in the Pacific Economic Cooperation Conference (PECC) as a founding member, playing a key role in encouraging trade networks in the Pacific region. Seoul's diplomacy toward the developing world. Seoul has been actively seeking to improve relations, particularly with nonaligned nations, based on the principles of good neighborliness, reciprocity, and equality. 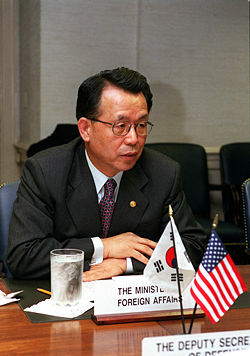 As of January 1990, Seoul had full diplomatic relations with seventy-eight members of the Nonaligned Movement, including Yugoslavia and Algeria. 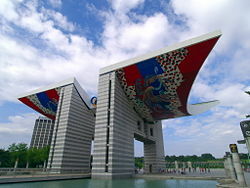 Seoul established the Economic Development Cooperation Fund ,in 1987, to promote economic assistance and expand trade. History of "Foreign relations of South Korea"
This page was last modified on 8 November 2013, at 15:29.